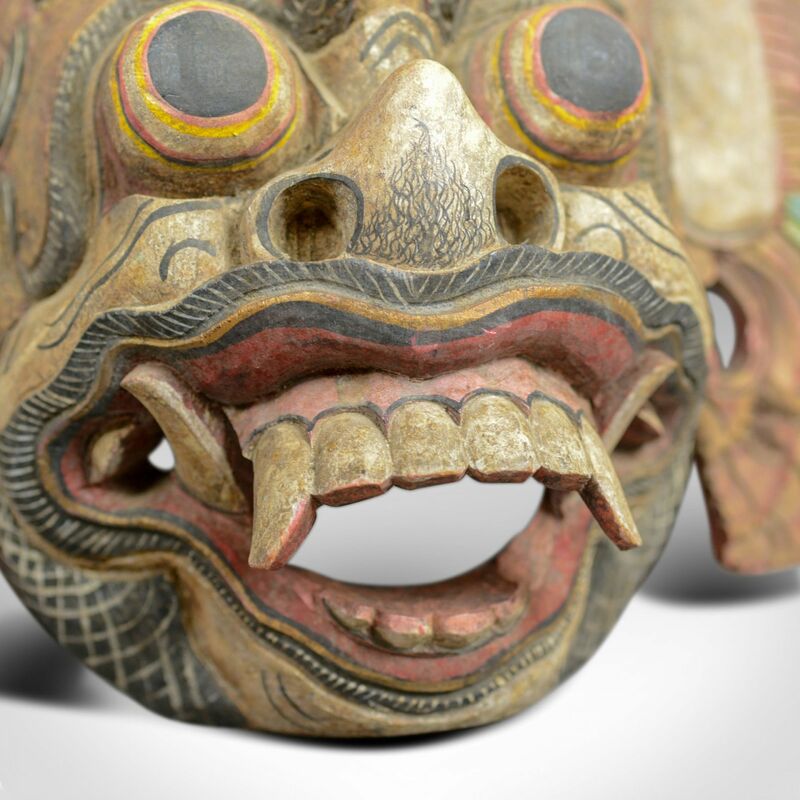 This is a Balinese 'Barong' carved mask. 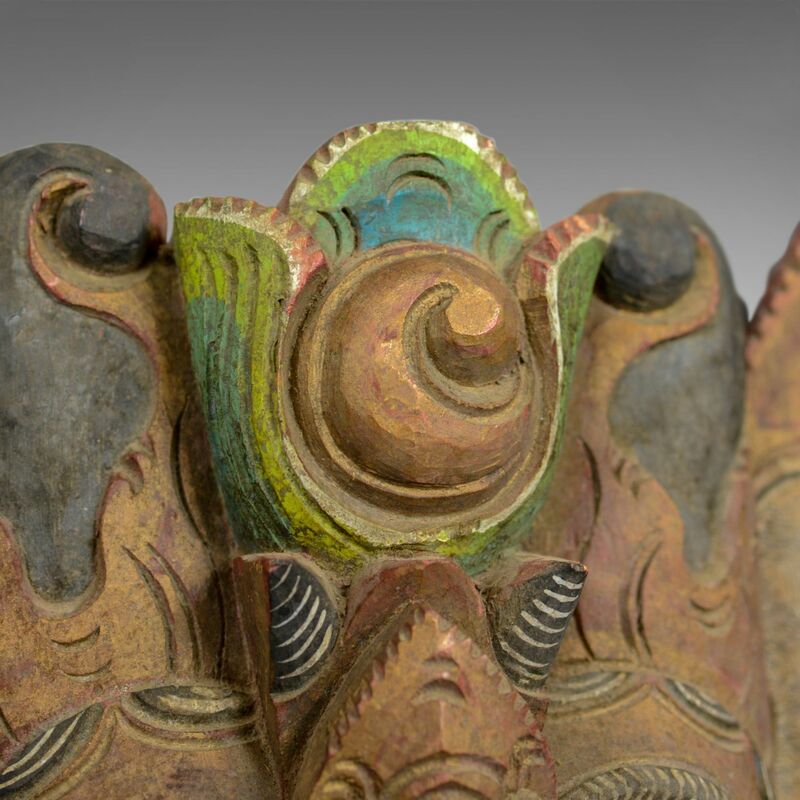 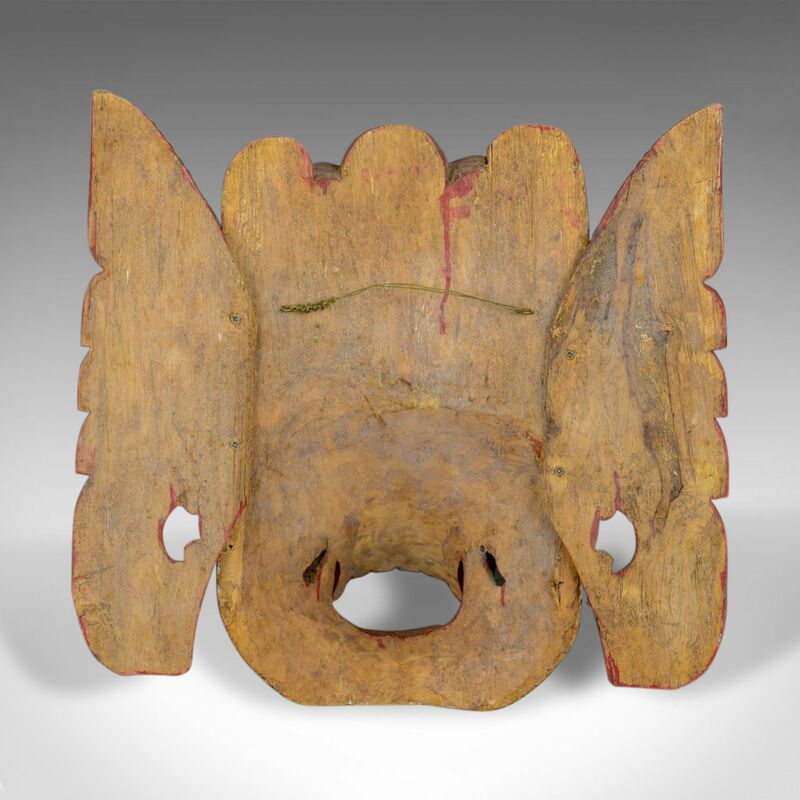 A decorative painted wooden face mask, wall art dating to the mid 20th century. 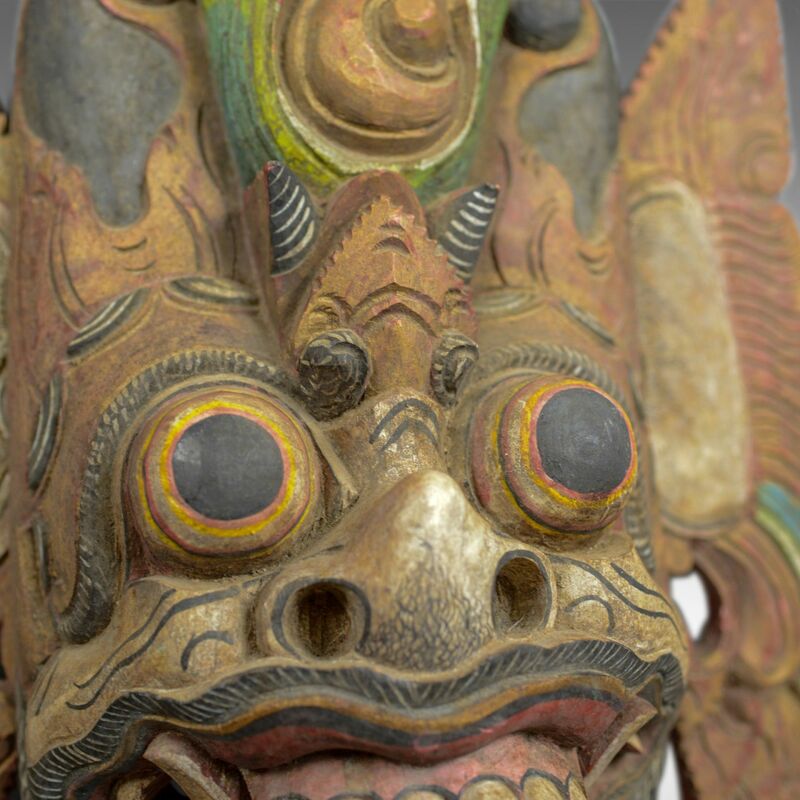 In Balinese mythology Barong, king of the spirits is a creature much like a lion and enemy of the demon queen, Rangda. 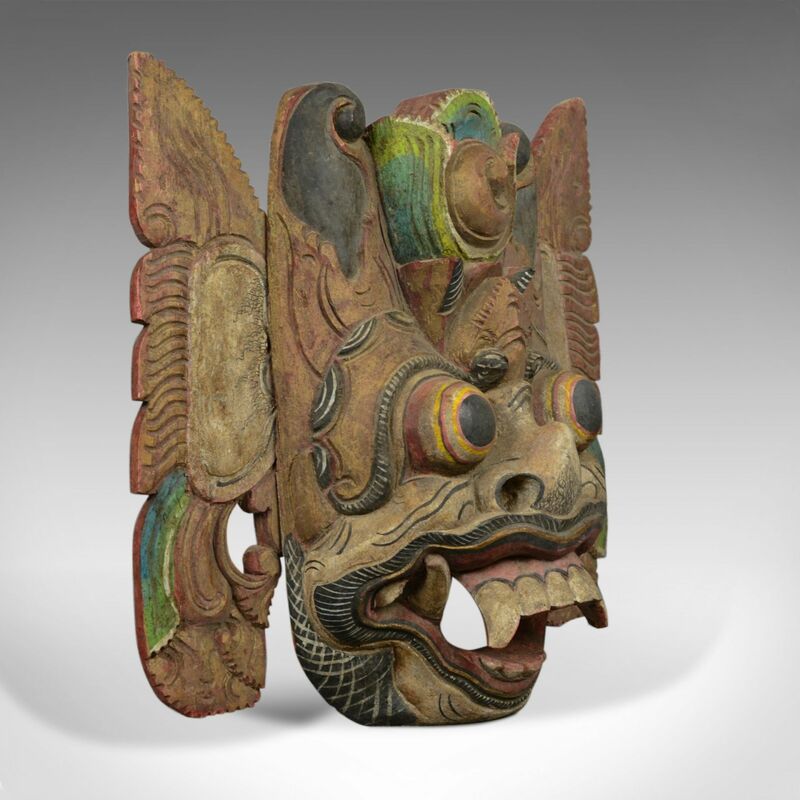 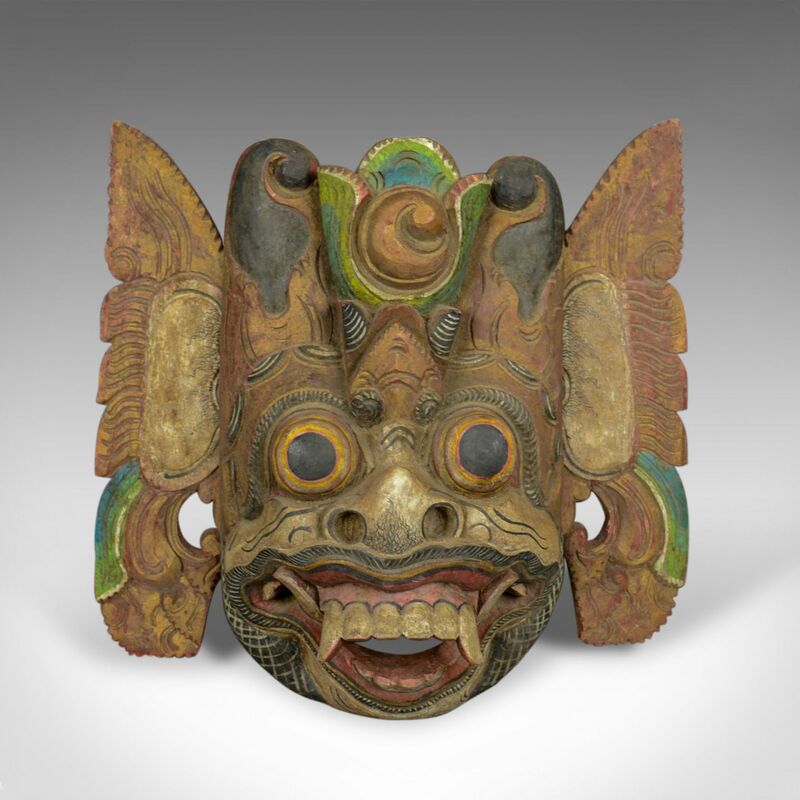 A super example of a Balinese 'Barong' carved mask ready to hang on the wall.